Here are the top 10 reasons we love Rivergate and Sandy Springs. 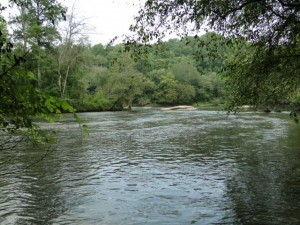 Chattahoochee River National Recreation Center – Escape city life in your backyard. Rivergate residents can enjoy the river views, rafting the Chattahoochee River, strolling through nature’s paths, or picnicking with friends and family. The Chattahoochee River flows just north of Rivergate and the Chattahoochee River National Recreation Area is just minutes away. Dunwoody Country Club -Just south of Rivergate, the Dunwoody Country Club is a private club offering an 18-hole golf course, swimming, tennis, fitness center, and a clubhouse. 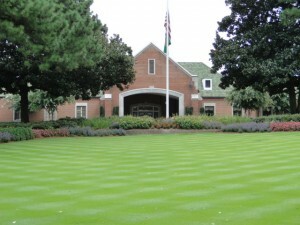 Dunwoody Country Club is located at 1600 Dunwoody Club Drive, Dunwoody, GA 30350. For membership information, call (770) 394-4492. Dunwoody Nature Center – Located in Dunwoody Park, the Dunwoody Nature Center offers visitors a chance to learn while enjoying the beauty of nature. 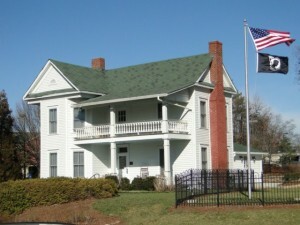 Open year round, the nature center has summer camps, educational classes, summer camps, school field trips and camping. Anne Frank Exhibit – Sandy Springs is home to the Anne Frank in the World: 1929-1945 exhibit. Brought to Sandy Springs by the Georgia Commission on the Holocaust, the free exhibit depicts Anne Frank’s life and death during the Holocaust. The exhibit is located in the Parkside Shopping Center at 5920 Roswell Road in Sandy Springs. Morgan Falls Overlook Park – Sandy Springs newest park opened in July 2010. The 27 acre Morgan Falls Overlook Park features playground equipment, porch swings, beautiful views of the Chattahoochee River The riverside park also includes a boat dock, fire pit, walking trails, restrooms, a large picnic pavilion. 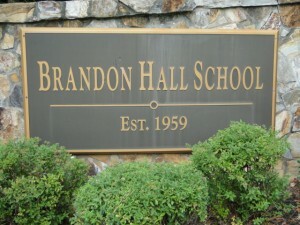 Brandon Hall School – located at 1701 Brandon Hall Drive Atlanta, GA 30350, Brandon Hall is Atlanta’s only traditional college preparatory boarding school. They also educate day and international students. The school provides a challenging college preparatory experience immersed in technology. Farmers Markets – Dunwoody and Sandy Springs have farmers’ markets for residents to eat fresh during local farmers primary harvesting period. 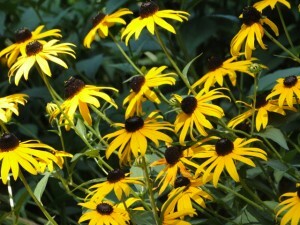 The Dunwoody Green Market is held every Wednesday 8:00 a.m.- noon beginning in April and continuing through December. It is located in the parking lot next to the Dunwoody Village Post Office at 1551 Dunwoody Village Parkway. Sandy Springs Farmers Market is every Saturday 8:00 a.m.- noon beginning in April and continuing through December. It is located in the parking lot at 235 Sandy Springs Circle NW. Annual Events – Sandy Springs offers many fun annual events including Sandy Springs Festival, Taste of Sandy Springs, Sandy Springs Movies by Moonlight, and Easter Egg Hunt. Rivergate residents can also take advantage of neighboring Dunwoody events such as Lemonade Days Festival, Dunwoody Art Festival, 4th of July Parade, Dunwoody Home Tour, and Dunwoody Music Festival and Chili Cook-Off. Rivergate is minutes away from one of the most popular shopping malls in Atlanta, Perimeter Mall which is home to Bloomingdale’s, Macy’s, Nordstrom and Dilliard’s and over 200 specialty stores and numerous restaurants. Shopping & Dining – Just southeast of the neighborhood residents can take advantage of shopping and dining at the Orchard Park Shopping Center, Mt. 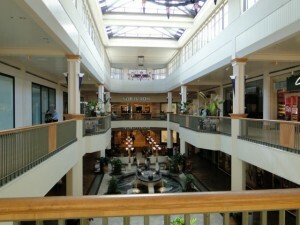 Vernon Shopping Center and the Williamsburg at Dunwoody Shopping Center. The centralized dining and shopping covers the intersection of Mt. Vernon, Dunwoody Club Drive, and Jett Ferry Road. Orchard Park is home to Kroger, Starbucks, Los Rancheros Mexican Restaurant, GNC, and Subway. 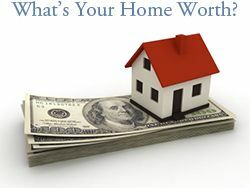 Williamsburg at Dunwoody has Arby’s, Carvel Ice Cream, Dunwoody Bistro, and Bank of America. All Creatures Animal Hospital and The UPS Store can all be found at Mount Vernon Shopping Center. 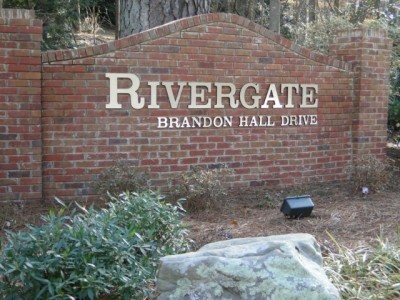 Location – Rivergate offers the conveniences of the city but in a serene nature oasis. 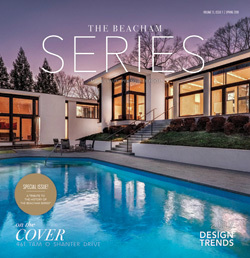 Conveniently located off of Georgia 400, residents have easy access to Alpharetta to the north along with Buckhead, Midtown and Downtown Atlanta to the South. Just minutes from home is a busy Dunwoody area filled with endless shopping and dining. After taking in the bustling city shopping, come home to large tranquil trees, winding roads and the flowing Chattahoochee River.